In this topic, we are going to learn about the Introduction to Windows. Microsoft Windows is a multitasking operating system developed by Microsoft Corporation which uses Graphical User Interface to interact with the users. Microsoft was originally named “Traf-O-Data” in 1972, was renamed as “Micro-soft” in November 1975, then “Microsoft” on November 26, 1976. Microsoft entered the marketplace in August 1981 by releasing version 1.0 of the operating system Microsoft DOS (MS-DOS), a 16-bit command-line operating system. Bill Gates and Paul Allen founded Microsoft and windows operating system has been its primary product. 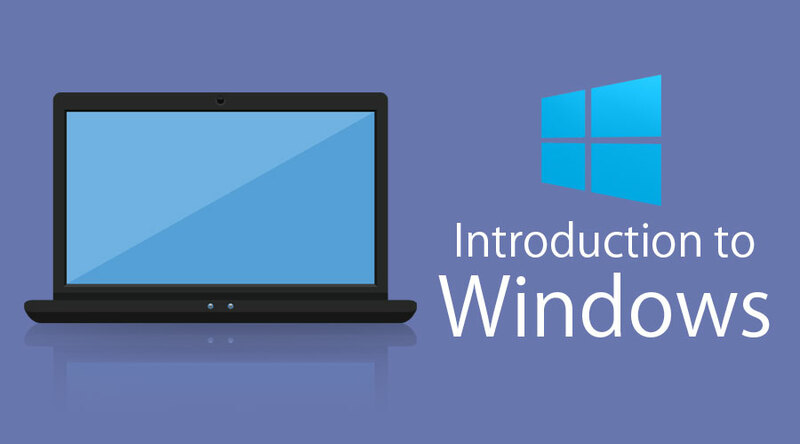 In this Introduction to Windows, we will also clear you about the latest OS release of Windows is “Windows 10” which was launched in the year 2015. It is the very first screen that you will see once the windows start. Here you will see “My Computer”, “My Documents”, “Start Menu”, “Recycle Bin”, and the shortcuts of any applications that you might have created. At the bottom, you will see a row which is known as the taskbar. 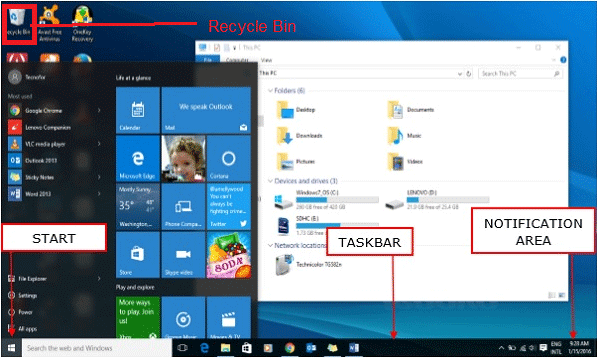 It has the currently running applications, you can also pin applications that you frequently use by using an option Pin to Taskbar”. This is located in the bottom left corner of Windows OS GUI. This is the place where the user can search for any setting and for any application for their use. Users can uninstall or repair applications from the control panel. 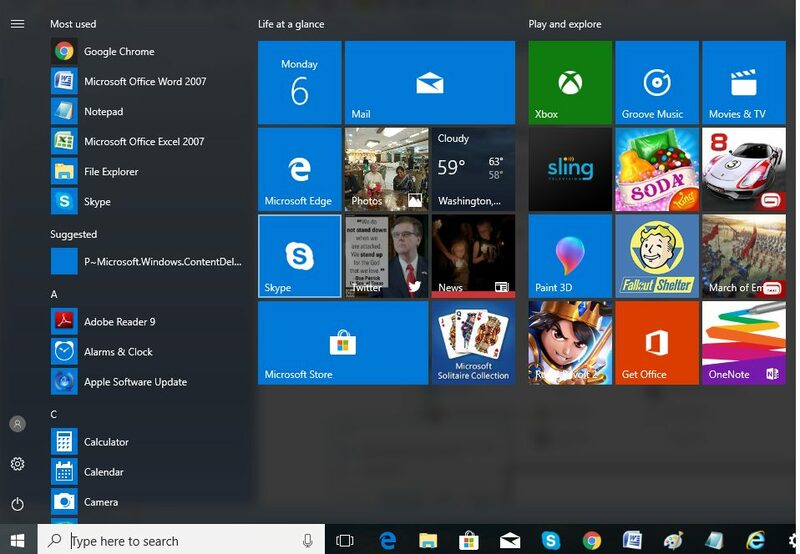 The user can do a lot of activities just by searching through the start menu. When you double click on “My Computer” menu, it will let you navigate between your different computer drives and the control panel tools. You can see and manage the contents that are inside your drive. We may have the need to transfer in or transfer out the files and contents from our machine to other devices such as other computers or mobiles and tablets. We can do this by using an Easy Transfer Cable, CDs or DVDs, a USB flash drive, wireless Bluetooth, a network folder, or an external hard disk. Windows includes an automatic update feature with the intended purpose of keeping its operating system safe and up-to-date. This feature of windows allows you to connect to another system and work remotely on another system. A program that is written to run under MS operating System is the Windows Application. Examples of applications that run on Windows OS are the Microsoft Outlook, Internet Explorer, Remote Desktop Condition, Snipping Tool, and numerous others. Microsoft provides a powerful set of Enterprise focused Operating System, Applications and the services making it the most dominant player in the OS market. There are privacy and security concerns and incidents and they are widespread. Linux OS is by far most secure OS ever built.